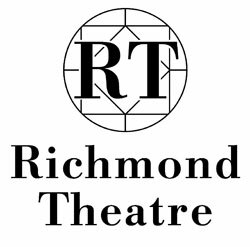 Situated next to Richmond Green and only a 5 minute walk from the train station, Richmond Theatre offers an array of quality productions: including drama, musicals, dance and comedy to name but a few. With world-class shows, both pre and post West End, there is something for everyone at this stunning venue. Don't miss Oscar Wilde's The Picture Of Dorian Gray, starring Jonathan Wrather at Richmond Theatre from Mon 22 - Sat 27 April. Book by Sat 20 April with promo code: DORIANRC to get the best seats in the house with a savings of £7 off the normal cost! Get £10 off* tickets to see The House on Cold Hill starring Rita Simons (EastEnders, I'm A Celebrity) and Joe McFadden (BBC Strictly Come Dancing winner 2017). From best-selling author, Peter James, don't miss this nail-biting thriller at Richmond Theatre from Mon 8 - Sat 13 Apr. Quote THOCH online at: https://bit.ly/2YQV6ZV, via our ticket line on 0844 871 7651** or at our Box Office. *Valid on Band A tickets only, on Mon-Thu evening performances only and not in conjunction with any other concession. **Fees apply. Calls cost up to 7p per minute plus your phone company’s access charge. Get ready to meet the man behind the nose and discover the side-splitting comedy behind the celebrated story of Cyrano de Bergerac. Starring Freddie Fox, Henry Goodman, Josie Lawrence and Chizzy Akudolu. Promo code: RCEDB Valid: Tue 30 Apr - Sat 4 May on all perfs *Terms and conditions apply. Offer is subject to availability and cannot be used in conjunction with any other offer or used retrospectively. Legendary Status Quo lead singer Francis Rossi will share the extraordinary secrets of his 50-plus years in rock’n’roll when he takes to the stage for an intimate evening. PROMO CODE ROSSI25RC *Fees and terms and conditions apply. Treat your mum to a breath-taking night at the theatre with Blake, on Fri 5 Apr! For over 10 years Blake have performed Classical, Opera and Crossover and given them a beautiful unique sound. Promo code: BLAKERC Buy one Band A ticket and get the second for half price - must be booked by Sun 31 Mar. *T's&C's apply. Cannot be used in conjunction with any other offer or used retrospectively. Must be booked in pairs. Fees apply. Enter promo code: KEATLEY50 at check out online or at the box office and save 50% off Band A and B Seating for this classic drama at Richmond Theatre 26 Feb - Sat 2 Mar! Must book by 11.59pm Wed 20 Feb.
Book with promo code: ANNFIVE and receive £5 off your ticket on Sat 9 Feb at 7.30pm, as Ann lifts the lid on life in Westminster and shares behind-the-scenes gossip from some of the nation’s best-loved programmes, including Strictly Come Dancing, Have I Got News For You and Celebrity Big Brother. Tue 5 Feb 1pm & 3pm, Wed 6 Feb 10am & 12pm Based on the classic children’s book series by David McKee, Elmer the Patchwork Elephant, is a celebration of individuality and the power of laughter! Featuring a menagerie of 21 loveable puppets, Elmer the Patchwork Elephant tells the tale of an elephant that stands out – both with his patchwork-coloured skin and his sense of humour – but ultimately realising that his friends have always valued his unique characteristics. The show’s subtle message that it is always best to be yourself, combined with the vibrant colour and cheeky humour of the main character, makes Elmer a great show for children of all ages Treat your little ones today with children’s tickets for just £6* and full price tickets only £10* with the offer code ELMER10. Following critical acclaim for The Wipers Times, Ian Hislop and Nick Newman have once again taken real life events for their new comedy Trial By Laughter. Band A tickets just £20* with promo code TBLRC Visit: https://www.atgtickets.com/shows/trial-by-laughter/richmond-theatre/ *Valid on all perfs Mon 18 - Sat 23 Feb. Booking and transaction fees apply when booking by phone or online. Calls cost up to 7p per min plus your phone company's access charge. T's and C's apply, subject to availability.